Are you sure what to do after being injured in a motorcycle accident in Santa Rosa or anywhere in the North Bay? Being the victim of any motor vehicle accident can be traumatic, but motorcyclists are at much greater risk of being seriously injured or possibly killed. This is why motorcyclists need to take immediate action and consult with a motorcycle accident attorney. Motorcycle accidents like all personal injury cases must be filed within two years of the date of the accident or incident. However, if the negligent liable party who caused your accident is tied to a government agency, such as a fire or police vehicle then a claim must be filed within six months of the incident with the appropriate governmental entity. Unfortunately, if you fail to meet the short six month statute of limitations against a public entity, your claim is barred and you will be prevented from being compensated. There is no reason why you need to lose out on your legal rights and full recovery! Contact an experienced and highly skilled motorcycle accident lawyer from the Law Offices of Michael A. Fiumara as soon as possible. How do I hold the negligent party at fault or liable for my injuries? How will I receive compensation for all of my damages and wage losses? How much is it going to cost to receive competent, professional legal help? At the Law Offices of Michael A. Fiumara, we have helped many motorcycle accident victims recover for their injuries, lost wages, and pain and suffering. 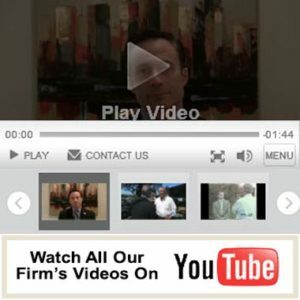 Our team of experienced and highly skilled attorneys is motivated to get our clients maximum recovery, exploring every legal option and fight tooth and nail negotiating on your behalf and if we have to litigate, we have been successful in getting millions of dollars in jury verdicts for our personal injury clients. Our law firm works on a contingency fee arrangement, which means that you don’t pay the law firm upon signing your agreement nor do you pay any costs until the end after we win you full compensation and damages. Therefore you can concentrate on your full and speedy recovery. There is no risk to consult with us, so why delay? Please feel free to contact us at (855) 247-3190 or (707) 571-8600, 24/7, and if it is after work hours, then the operators will connect you directly to one of our highly skilled and knowledgeable motorcycle accident lawyers. Driving while distracted by other passengers, cell phone usage, and eating. Failing to check blind spots before changing lanes, not looking out for motorcyclists. Exceeding the posted speed limit on the street and, therefore, being unable to avoid a collision. Failing to yield right-of-way to the motorcycle usually during lane changes. Failing to complete a stop before turning right in violation of California Vehicle Code. The highly skilled and knowledgeable motorcycle accident attorneys at the Law Offices of Michael A. Fiumara will determine the exact cause as well as who is responsible and liable for your accident by conducting a full investigation of the crash site. Our law firm works together with highly skilled and experienced accident reconstruction specialists, engineers, medical experts and other relevant professionals to reconstruct exactly how the accident occurred. When seeking a local Santa Rosa motorcycle accident attorney to represent you or a loved one, make sure that they are well versed in the local area traffic laws and know how to establish liability for a motorcycle accident anywhere in the North Bay so that your interests are best represented in court. Many motorcycle accident cases are more complex than they first appear. This is why it is very important to have an experienced Santa Rosa motorcycle accident attorney fighting for you. Finding a good motorcycle accident attorney in Santa Rosa, California or anywhere in the North Bay can be difficult. Our law firm has the experience, knowledge, and dedication to ensure your legal rights are fully protected after a motorcycle accident. Our experienced North Bay area personal injury attorneys are aware and familiar with the highways and transportation systems and general traffic laws as well as being very experienced with the local court system and how it operates. Without this kind of expertise, your chances of a successful motorcycle accident settlement could be diminished. If you have been injured in a motorcycle accident, you also need to consider how you are going to handle and pay for your medical bills, lost wages, court costs, and other ways that your life may be impacted by the motorcycle accident… and that’s where we come in to help you! Due to the prejudice and stereotypes toward motorcyclists, the odds are always stacked against the motorcyclist in accident cases and that is why you need to contact an experienced and highly skilled personal injury law firm to represent your legal interest as a motorcyclist and achieve full compensation for your injuries. It could be one of the most important decisions that you make to ensure your legal rights are protected and your legal compensation is preserved. The dedicated and compassionate attorneys at the Law Offices of Michael A. Fiumara are here to help even the playing field against all odds. We will deal with the insurance companies, medical doctors and providers, and other lawyers so that you can focus on resting and recovering from your motorcycle accident. Please contact the Law Offices of Michael A. Fiumara at our conveniently located Santa Rosa, California Offices in Sonoma County at (707) 571-8600 or our Marin County office in San Rafael, California at (415) 492-4507.